* On Monday, January 2nd, the Quick Response Team (QRT) received information that a dark skinned male person with dreadlocks, wearing a blue checkered shirt was carrying an unlicensed firearm near a bar by the Central Park Area. Upon entering the said bar, Police Constable Darnell Madrill’s attention was drawn to Paul White, who he had known for two years and who fit the same description. PC Madrill and PC Eduardo Magana approached the said person, escorted him out of the premises and conducted a search. Whilst searching the said person, Pedro Campos approached PC Madrill and told him that he can’t search White and used profane words towards PC Eduardo Magana. He was informed to move back. However, Campos refused to leave. The search was concluded and nothing illegal was found on White. Campos was standing approximately four feet away from PC Magana and used threatening words to him. PC Magana and PC Madrill approached Campos and informed him of the offence he had committed. PC Magana then told Campos to place his hand behind his back, which he refused to do and continued to use profane words. Whilst PC Madrill attempted to place the handcuffs on Campos’s hand, he was pushed in his chest, and caused PC Madrill to fall down. As PC Magana intervened, White pushed him in the back. The third QRT member, PC Norman Coye, then got hold of White and handcuffed him. He then approached Campos and attempted to grab hold of him, and it resulted in both of them falling to the ground. PC Magana and PC Madrill then intervened and managed to handcuff Campos. PC Coye then informed Pedro Campos of the offences he had committed, cautioned him and escorted both men to the San Pedro Police Station. Campos and White were detained pending charges for “Assaulting a Police”, “Insulting Words”, “Threatening Words”, and “Resisting Arrest”. * On December 17, 2016, PC Phillip Swift, along with other members of the Quick Response Team ( PC Kareem Staine, PC Norman Coye and SC Richard Nunez) were conducting a routine patrol in the Central park Area. PC Swift’s attention was drawn to a male person of Hispanic descent, wearing a grey T-Shirt and a long blue Jeans pants, who was aggressing and cursing another male person upstairs of a local bar. PC Swift approached them and asked both of them to leave the premises. One of the males left the bar, but the other Hispanic male refused to leave and told PC Swift that he will not go anywhere. PC Swift used enough force in attempt to remove the said person, but he pushed away the hands of PC Swift. PC Swift informed the said person of the offense he had committed and placed him under arrest. Whilst attempting to put on the handcuffs on the said person, he swung around and threw a punch with his right hand at PC Swift and grazed him on the chest. PC Swift and PC Staine then used enough force by holding the said person both hands behind his back and placed on the hand cuffs. The said person was informed of the offense he had committed, cautioned him and escorted him to the San Pedro Police Station. Charles Sho was then detained by Phillip Swift PC1418 pending charges of "Resisting Arrest” and "Assaulting a Police Officer”. * On December 29, 2016, Corporal Allan Woods reported that on that date, based on information received, he went along with PC Perez to conduct surveillance in Pescador Drive near a restaurant. About 11:30AM, he observed a male Hispanic person riding on a black male beach cruiser bicycle on Pescador Drive, contrary to the flow of traffic heading in a northern direction. As he approached the restaurant, he stopped, at which time PC Perez and Cpl Woods approached him. Cpl Woods identified himself as a police officer, at which time he noticed that the male, later identified as Soriano, was holding something in his right hand. He alerted PC Perez, who then held unto to Soriano as to prevent him from throwing the item. Cpl Woods asked him to show what was in his hand, but he refused to comply. Cpl Woods managed to open his right hand, where he observed a transparent plastic bag that contained a white powdery substance suspected to be cocaine. Cpl Woods informed the male person of the offence committed, stating that he would conduct a further search on his person for illegal drugs. Nothing else was found on him, and Cpl Woods then informed him that a search would be conducted at his apartment for illegal drugs and firearms. Nothing was found. Soriano was then escorted to the station along with the suspected cocaine, where he was formally arrested and charged for the offence of Drug Trafficking for possessing 3.8 grams of cocaine. * Based on information gathered by QRT on December 24, 2016, officers conducted a search in a 3-story white building on Tarpon Street. When searching, police recognized Allen Martinez, who resides on the first floor. After a search in Martinez’s bedroom, QRT discovered (3) parcels of green leafy vegetable-like substance suspected to be Cannabis hidden in a compartment under his closet area. Martinez was informed of the Offence he had committed, was cautioned and escorted along with the (3) parcels of Suspected Cannabis to the San Pedro Police Station. All three parcels were weighed and it amounted to 787 grams of suspected Cannabis. The suspected Cannabis was then sealed and Martinez was asked to sign, but he refused. The two parcels was then labelled as Exhibit and handed over to the Exhibit Keeper. * On December 17, 2016, QRT Personnel were conducting a motorcycle patrol in the Bay Side Area. Based on information received, they visited a four-room apartment complex. Two of the rooms are rented by two dark-skinned male persons who were seen leaving through the back of the yard. PC Staine recognized these persons as Edwin Henry and Arnold Lino (Beans). PC Staine informed both male persons that a search will be conducted on their person and the property for illegal drugs and firearm, however nothing incriminating was found on Henry. The search on Lino led to the discovery of money. Both Henry and Lino were asked to observe while a further search was done in their room and in the yard. While searching the restroom area, PC Staine found (6) six separate sealed transparent plastic bags, which contained green leafy vegetable-like substance suspected to be Cannabis. Henry and Lino were there at the time and were shown what was found in the roof. They were informed of the offence committed, cautioned, place under arrest. They were escorted to the San Pedro Police Station along with the suspected Cannabis. At the police station, the suspected cannabis was weighed using a gram scale and it amounted to 723 grams. Each package was weighed separately and marked A1, A2, A3, A4, A5 and A6. They were then placed in three separate envelopes, where they were sealed and labelled in the presence of both Henry and Lino. PC Staine formally arrested and charged Henry and Lino for the crime of “Drug Trafficking”. Lino took full responsibility and pled guilty for drug possession and control. He was then given three years of mandatory sentence. All charges on Henry were dismissed. On December 28, 2016, Gary Hamilton made a report at the San Pedro Police Station that he left from a local bar to walk with Omar Delgado, who he has known for seven months, towards the Boca Del Rio Park. Upon reaching in front of a construction site by the park on an unknown street, he stopped and sat on the bar of his bicycle, where Delgado left towards the beach front and returned with another male person unknown to him. They both approached Hamilton and grabbed his neck from behind. Whilst the unknown male person held him from the neck, Delgado stood in front of him and went into his pockets and took out his cell phone black in color with s/n IMEI1:358367071602131 valued at $300.00 US. Delgado demanded money, but Hamilton said he had spent it all. He was then punched in the face and threatened to not make a report, before the assailants made their escape. Delgado has been arrested and is still pending charges of Robbery. Shreya Thacker a tourist of New York City, New York reported to the San Pedro Police Station that on December 27, 2016, she was laying down on a beach chair in front of a local beachfront resort. While on a call using her earphones, someone snatched her cellphone, which was resting on her abdomen area and ran away, leaving behind only the earphones. She saw a brown-skinned male person wearing a grey shirt and red short pants and long hair running north from where she was, managing to escape. The black 64GB iPhone 6 is valued at $1,400BZ. She began monitoring her phone through a system called Find My IPhone, and later that night, was able to pick up a signal showing where the phone was and she called police to accompany her. Upon arriving, police met a group of male persons and Thacker identified one of them who had the same clothing as the person who ran away from her to be Enrique Durant. Police then searched the male person and found the cell phone in his possession. Durant was cautioned and formally detained pending charges of Theft. The matter is under investigation. On December 27, 2016 a female reported that between the hours 1:30AM and 2AM, she heard noise coming from her neighboring apartment located on the lower flat of a two story concrete building. Shortly after, she saw two male persons inside her bedroom, one of dark complexion with what appeared to be a firearm and the other of Hispanic descent armed with a knife and who demanded that she hand over $5,000BZ. She reported that she then called her father, who proceeded to her house to hand over a total of $4,600BZ cash and a wrist watch to her. She handed over the money to the culprits, who left the scene without harming anyone. However, before her father delivered the money, he had informed Assistant Superintendent (ASP) Henry Jemmott of the situation around 3:20AM, stating that he was already on his way to deliver the money. A team of police officers headed by ASP Henry Jemmott visited the area and conducted searches. However, only a few foot prints were observed in front of the apartment and at the side, leading to the beach. Further checks were made in a bathroom located at the North Side of the building, where a small hole was seen in the Plycem wall, suspected to be how the culprits gained access to the female’s apartment. 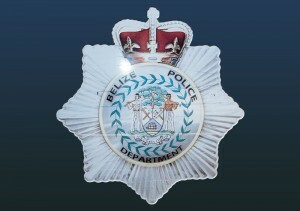 A statement was recorded and Crime personnel processed the scene. On December 25, 2016, Moises Chub visited the San Pedro Police Station and reported that on that date at around 7PM, he went to the Roman Catholic Church located on Barrier Reef Drive. After church was finished, he decided to go to the park with some of his friends to socialize. Around 1PM, he decided to go home. He went to bed, but as he was sleeping, he felt hands around his neck trying to take his chain off. He woke up and saw Julian Trapp, whom he had known for 3 years, standing beside him. Chub noticed that the window he had left closed was opened. Trapp quickly ran through the door and down the stairs directly into to a white in color taxi van. Chub approached the vehicle and asked the Hispanic male taxi driver if he could speak to Trapp, but the driver drove away at Trapp’s command. When Chub went back to his room, he realized that (1) Grey and Black 32 inch Phillip Television valued at $800BZ, (1) Grey and black iPhone 5s valued at $1130BZ and $115 BZ cash was taken from his room. He made a formal report, and requested court action. On December 26, 2016, police arrested Trapp for the crime of Burglary.